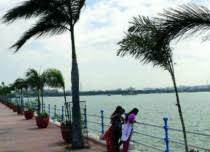 Horticulture Department Commissioner Venkatram Reddy said steps have been taken to improve the pace of growth in the process. He said the Telangana state is in progress in the production of silk products. A mulberry garden is a five-year job that is being worked out. Three types of silk are available in the form of a spinal molybdenum handloom sector. 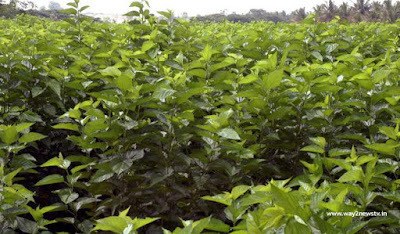 Mulberry said that it is the industry that can be used for more profit by using multiple annual crop water resources. Aurum mulberry garden production is available from Rs 50,000 to Rs 100 lakh per annum. The industry that employs remote tribal families in the state of Silk Smitha said. Mulberry farmers can also produce additional income and production of organic farming fertilizers. The Chief Minister of Kalvakuntla Chandrasekhar Rao, pesticide minister Pocharam Srinivas Reddy and the Chief Secretary of the State Parthasarathy took steps to promote farmers. He said the farmers are aware of farmers through silk exhibition exports. He has taken steps to coordinate the activities of the district administration and horticultural organizations for the farming system in the poor. The farmers will provide financial assistance to the farmers in the farming sector. Farmers are encouraged to take advantage of mulberry and cultivation, said Commissioner Venkatram Reddy, who visited several areas and sought to develop mulberry gardens. We are focused on our vegetable cultivation of buildings. In the city of Hyderabad, there are 40 lakh houses in our vegetable plan on 6 thousand buildings in 2010. In all cities, vegetables, fruits, vegetables, garlic, berries, lemon, eggplant, cluster beans, onion, gongura and flowers are grown.